I was in Avignon on 13th & 14th March 2012 to attend a tradeshow organized by HBS dedicated only to hoteliers. 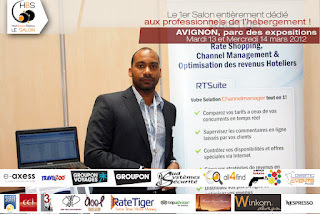 Le Salon HBS is a platform that allows hoteliers to come together and look for commercial solutions to improve sales, occupancy, RevPAR or how to simply manage marketing online and offline. 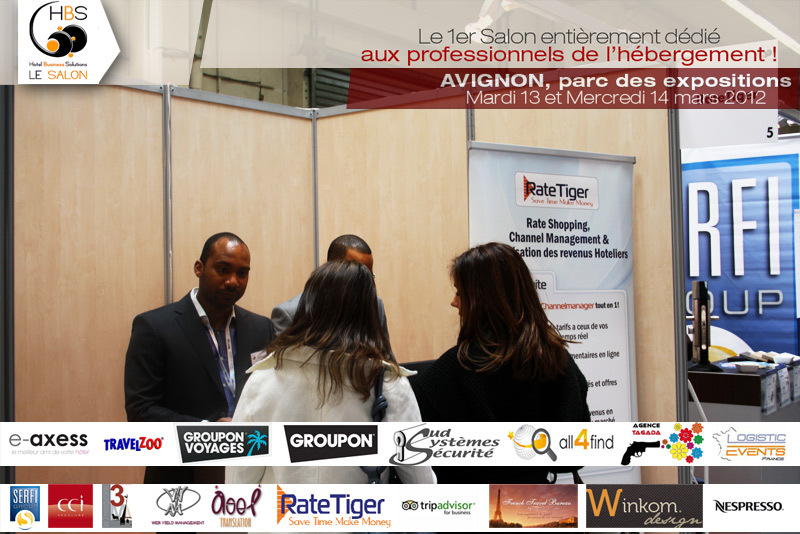 This is a unique opportunity for them to meet other players including online travel agencies, web solution providers, aggregators, channel managers, GDS companies and technology providers among others. With a good mix of hoteliers, students and suppliers, the discussions revolved around topics like yield management, marketing and social media. With the continuous evolution of online bookings, hoteliers from tier two cities are also starting to acknowledge the need for revenue and channel management solutions. I witnessed this growing awareness as many hoteliers and consultants flocked to the RateTiger stand to know more about our solutions and how it helps. HBS invited us to deliver a presentation on “How to Maximize Online Revenue?” which I conducted to a receptive audience. 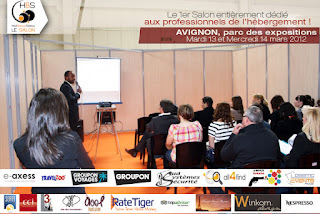 Le Salon is the first of its kind event in France and the feedback we received is very encouraging. Moreover, it is a great platform to establish new relations and to track business with existing partners. I look forward to other such interesting events from the HBS stall.